5 Star Defaqto rated travel insurance for over 50s with no upper age limit. Holiday like the locals and choose mainland Greece. 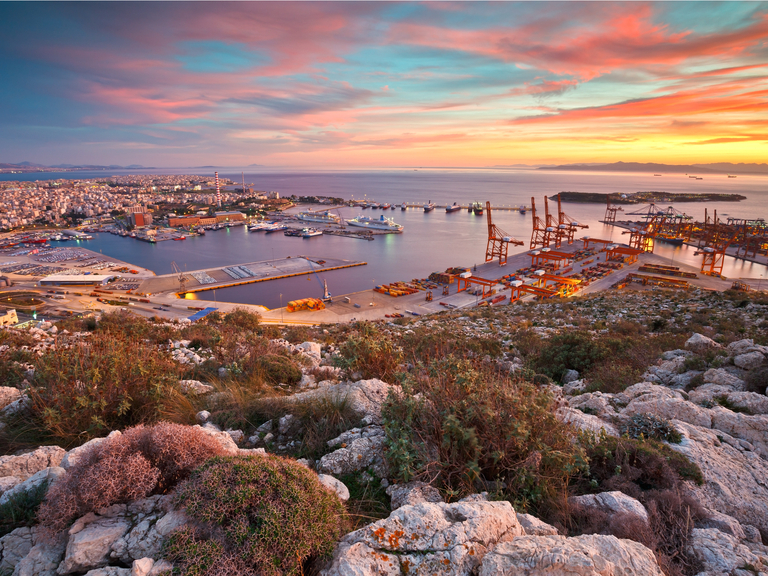 Try the Peloponnese, a rugged, dramatic peninsula that’s steeped in myths and the setting for legendary tales that include Hercules, Jason and the Argonauts and Paris. 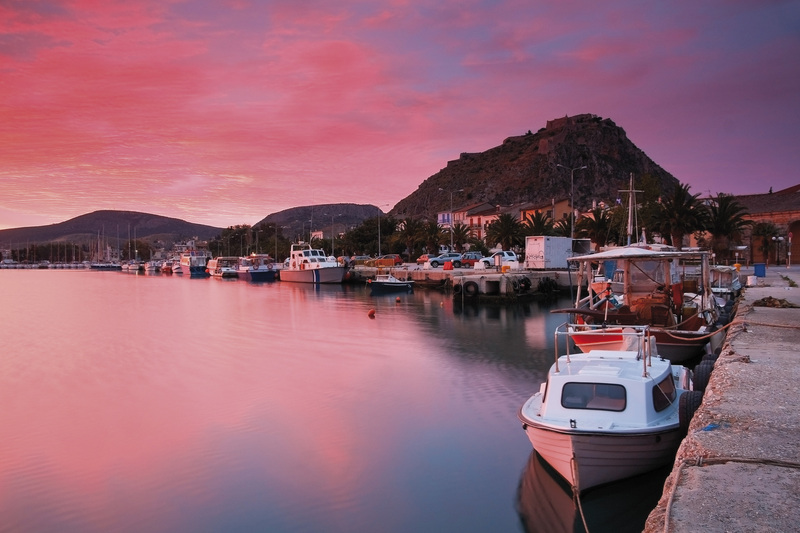 On the eastern side of the peninsula you’ll find Nafplion, a seaside town with a life of its own as a bustling port. At Nafplion there are two great beaches within easy reach – Arvanitia beach, a small pebbly beach to the south of the town and, a few kilometres beyond that, Karathona Beach, where the hillside sweeps down to a long curve of golden sand. Or just 10km away is Tolo, a popular resort offering water sports and more. You can’t miss the Palamidi fortress that rises over the town. While it’s a steep climb up lots of steps – get a taxi if you don’t fancy the hike – there are great views from this Venetian castle. Take a boat out to the island fortress of Bourtzi, which guarded Nafplion from pirates in the 1500s. Find out more about the history of the town – it was briefly the capital of Greece – in the Archaelogical Museum of Nafplion. You’ll find all the traditional Greek dishes in the Peloponnese – meze including tzatziki, taramosalata, dolmades, calamari and spanakopita, and main dishes such as moussaka and souvlaki. Look out for locally grown oranges and lemons, and don’t forget to try the famous Kalamata olives! There’s more to Greek wine than retsina. The Peloponnese has a long history of winemaking. The Matinia region produces whites and rosés. For dry reds, try wines from nearby Nemea, or Patras for sweet wines. And for a really local tipple, Nafplionbased Karonis Distilleries make ouzo, brandy and cherry liqueur – cheers! Going away is exciting – and with our handy travel checklist it’s easy too, as you can tick off your tasks as your holiday approaches.